Mobile technician : Vehicle Breakdown callout * available to Shrewsbury Shropshire & Mid Wales areas (*subject to availability). Enquiries welcome. Ignition switch faulty or wiring. Starter motor or related wiring fault. No fuel in the tank. Incorrect fuel in the tank. Pre heater (glow) plugs / relay / wiring faulty. 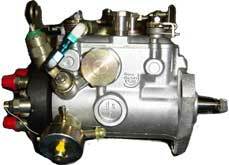 High pressure fuel injection pump faulty. Fuel injector pipes incorrectly fitted. Failure of an electronic control system sensor / wiring. Fault codes logged on Diesel control unit (DCU) preventing startup. Failure of Diesel control unit . Air intake System blocked / restricted. Exhaust system blocked or restricted. Engine condition causing low compression pressure. Restricted fuel supply. Check fuel tank, pipes and filters. Faulty or incorrect ESOS (engine stop solenoid) or ELAP. 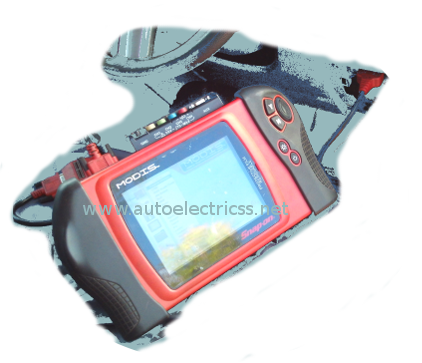 Electronic engine control fault. Test ECU and wiring. Exhaust system blocked / restricted. EGR valve stuck or blocked. Electronic control system or wiring fault. Blocked /leaking /inoperative fuel Injector. Mechanical Injection pump fault (possible pump phasing). Incorrect pump to engine timing. Valve timing or compression problem. Exhaust gas recirculation (EGR) system fault. Insecure engine component / mechanical failure. Incorrect pump / valve / engine timing. Incorrect fuel injector calibration / fault. Precombustion chamber loose in cylinder head. Faulty / dirty fuel injectors. Incorrect injection pump to engine timing. Injection pump overfuelling / incorrect calibration. Fuel Injection pump excess fuel device fault. Restricted air intake or air filter blocked. Engine not reaching operating temperature. Heater plug post heat fault. Turbocharger oil seals failing allowing engine oil to leak into air intake system. Low boost pressure from turbo or intake system leaks. Fuel injector opening pressure too low. Low turbocharger boost pressure due to worn turbo / intake system fault / boost control. Water entering combustion chambers due to head gasket failure, cylinder head or block cracked. Faulty fuel injector / calibration. mechanical pump boost control diaphragm leaking fuel into turbo through boost control pipework. Excessive engine oil level : Engine inducting engine oil & using as a fuel. Insecure accelerator linkage or return spring missing. Fuel Pump calibration fault or worn pump. Incorrect valve or fuel pump timing. Fuel pump stop solenoid not opening fully. Accelerator linkage insecure or travel restricted. Electronic engine control system or wiring fault. Electronic diesel control system in limp home mode or restricted mode. Road speed limiter incorrectly set or system fault. Vehicle braking system not releasing. Low coolant level, or coolant leakage, cooling system pressure loss,cooling pressure cap faulty. Blocked radiator ; internally or airflow. Faulty viscous fan , or fan motor not operating , wiring fault. Incorrect injection pump timing , or electronic control system fault. Mechanical fault with engine, head gasket failure, cracked cylinder head, cracked cylinder block . Excessive engine load due to vehicle brakes sticking on etc. Engine gaining a supplementary fuel supply. Ignition switch / wiring fault leaving fuel stop solenoid energised. Stop control linkage disconnected or broken.